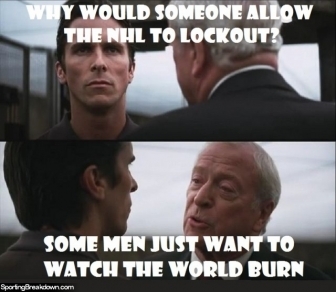 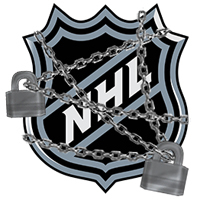 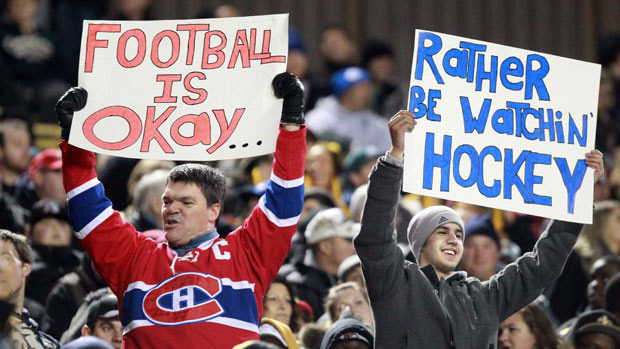 At least someone is playing hockey. 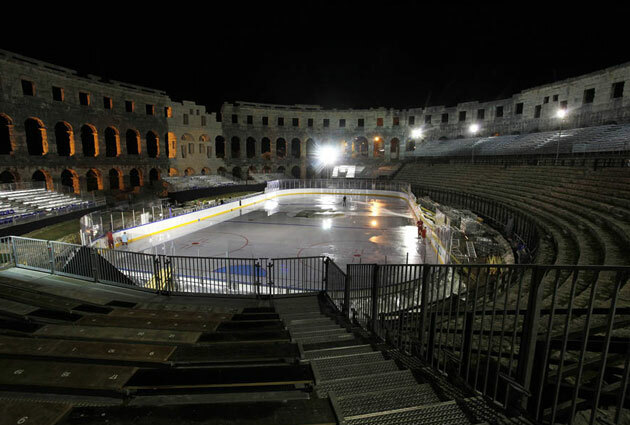 As the gloom and doom of the NHL lockout rages on, I had to share some pictures from an amazing Winter Classic-like event in Croatia. 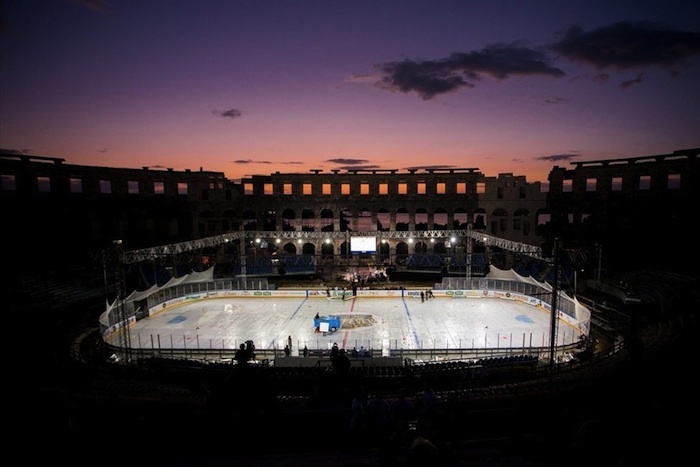 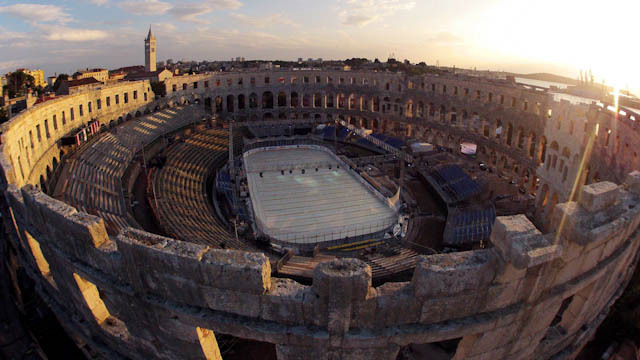 The Pula Coliseum, a 2,000 year-old open air arena in Croatia, was iced over for a multiple-day hockey festival (and how cool does it look?). 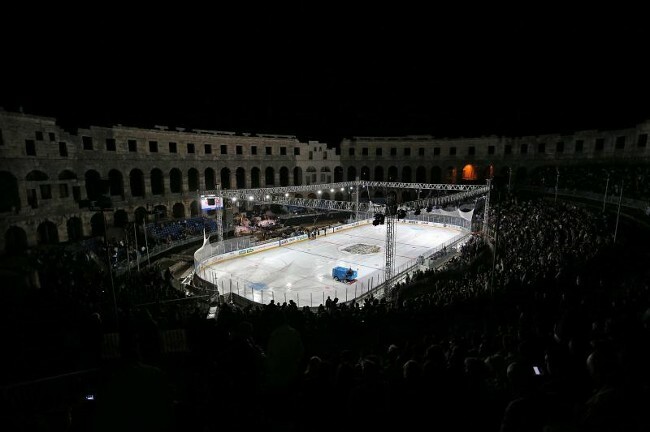 Medveščak of Zagreb, one of Croatia’s most successful hockey clubs, hosted the games and although the venue only held around 8,000 spectators, it created a huge internet buzz.